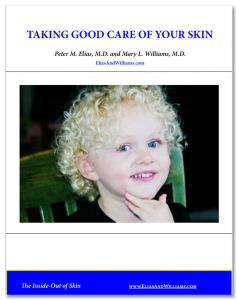 Climate Change And The Skin: Heat Waves - Elias and Williams: The Inside-Out of Skin by dermatologists and skin researchers Peter M. Elias, M.D. and Mary L. Williams, M.D. Heat Waves And The Skin? One obvious consequence of global warming is the more frequent occurrence of dangerous heat waves – but what, you might ask, do heat waves have to do with the skin? The simple answer is everything – as we shall soon see. It may not be news to anyone that heat waves are hazardous to our health. 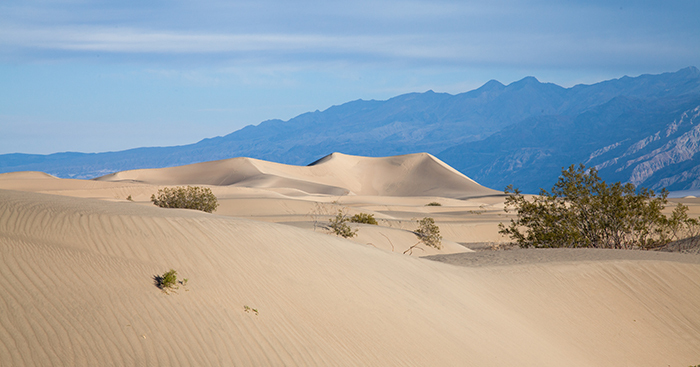 Death Valley earned its name generations ago. In 2003, not so very long ago, a heat wave in Northern Europe is estimated to have cost at least 35, 000 lives. Some authorities suggest that as many as 70, 000 lives were lost to the prolonged heat. Hot summers in the northern and central parts of Europe were uncommon in the past. Consequently, housing there did not need to be adapted for hot spells, and often lacked air conditioning or even good cross ventilation. Even those of us living in cities that are used to high temperatures and where air conditioning is more or less a way of life – even people there are vulnerable to the new extremes of heat that we are now experiencing. Consider that a new record was set in Phoenix last year, when 155 people died of heat-related causes. Senior citizens are among the most vulnerable to the effects of extreme heat, but also at risk are the young, as well as pregnant women, and individuals with obesity, diabetes or preexisting heart or lung diseases. People in the prime of life and in good health are also at risk of heat exhaustion and heat stroke if they exercise or participate in sports during hot spells. Sweat is our most important physiologic defense against an over-heated core. When we’re hot, we sweat. And it is up to skin and its ‘eccrine glands’ to produce the sweat we need to cool down. This is why climate change and its more frequent and more intense, prolonged and sustained heat waves are in essence all about skin. How does skin fail us when we overheat? Maybe it’s too humid, and the sweat we deliver to the surface of our skin has little incentive to evaporate. The evaporation of water is dependent both upon the temperature – faster if hotter- and on the ‘humidity’ of the surrounding air- faster if lower. Sweat can only cool us as it evaporates, pulling heat (or energy) out of our body when it transitions from liquid to gas. If it’s too humid, we may sweat normally, but the sweat tends to remain on the surface of our skin and provides us with little relief. A fan here is helpful, because the movement of the air over our skin blows away the fully saturated layer of air just above the skin’s surface (our skin’s ‘microclimate’), providing it with a fresh and somewhat less humidified volume to which it can again equilibrate by liberating some sweat into the atmosphere. Skin can also fail to cool us if its sweat glands are not fully functional. This is the case for the elderly, where their aging sweat glands seem to have a higher set point before they begin to operate, are slower to respond and produce lesser volumes of sweat when they do. Newborns, too, have diminished capacity to thermoregulate by sweating. Their sweat glands are fully formed, but not yet fully operational. Children, too, have a higher set point for the onset of sweating. Their core temperature will rise to a higher degree before they will begin to sweat. This puts student athletes at increased risk for heat stroke and heat related illnesses. “Every year, some 9,000 high school athletes are treated for heat-related illnesses.” Medical Society Consortium on Climate & Health. 2017. Certain medications can interfere with the ability to sweat; these include some antidepressants, antipsychotics, antihistamines and seizure or blood pressure medications and other drugs with anticholinergic effects. Diabetics, too, have an impaired capacity to sweat, which may be due to diabetic neuropathy impairing the nerves that activate sweat glands. Some skin disorders are also associated with impaired capacity to sweat (‘hypohidrosis’). One example is the common disorder, atopic dermatitis (or ‘eczema’). Also any condition with extensive scarring or fibrosis can lead to loss of sweat glands in the affected areas. Less common causes of an impaired capacity to sweat are a number of genetic disorders. In some of the inherited traits there is an absence or underdevelopment of sweat glands; for example, some members of a group of disorders called ectodermal dysplasias. In others, such as some ichthyosis, the delivery of sweat to the surface may be blocked (some ichthyoses). In each of these cases – the old or the young, those with some other medical conditions or on certain medications – the affected individual has a reduced capacity to mitigate an overheated core through sweat and is at increased risk for heat stroke and other heat-related illnesses. Consider This: We Are Human Because We Sweat. What separates man from beast. We humans are fond of pondering what makes us different from all other creatures. But most of our previously held beliefs about what qualities render us unique are now in question – if not completely entirely discredited. Emotions? Every dog owner knows that we’re not alone in this regard. Language? Dolphins communicate, even if we can’t yet decipher their meanings. Other primates use tools, so,too, do some birds. Mourn our dead? Elephants do, and so do whales. But no other species save man has used the watery secretions of ‘eccrine’ sweat glands to cool themselves. It’s true that horses, zebras and some other hooved animals secrete a form of sweat when they overheat. Their sweat, however, comes from a totally different gland – the ‘apocrine gland’. Apocrine glands produce a very viscous secretion that is much less efficient in its ability to cool the animal. This is why the rider wipes off most of the lather from his overheated horse’s coat, exposing the animal’s now wetted fur, and then slowly walks the horse about to allow the gentle flow of air across the surface to dry its fur and cool down the horse. We humans produce apocrine sweat, too, but only in localized areas, such as the underarms. This is the form of sweat that produces the typical, unpleasant body odor when we sweat. The function of human apocrine sweat is unknown, but it is not intended for thermoregulation. Other primates, apes and monkeys, also possess eccrine sweat glands, but these are primarily found on the palms and soles where their watery secretions act to aid in grasping and holding. The human innovation was to distribute these eccrine glands widely and densely across the entire skin surface and to link their activity to the thermoregulatory sensory system. Why Humans ‘Decided’ to Sweat. The evolution of sweating as a means to cool the body was linked to our brain’s development. Two key characteristics of brain cells drove this evolution. The first was that neurons are big energy consumers. Occupying only about 2% of our body mass, brain cells, ‘neurons’, demand 20% of our energy supply. The second is they are especially intolerant of overheating. Of all our cells, brain cells really need to stay cool. As our ancestors evolved ever larger and larger brains, they outgrew their food supply in the equatorial forest. Its fruit, nuts and small animals could no longer meet the caloric demands of their enlarging brains. Outside their forest home, on the open savannas, roamed large herds of animals sufficient to satisfy their appetites. These human ancestors could band together and chase down their prey, aided by some newly invented weaponry – but how would they dissipate all the heat their bodies generated during a prolonged and intense hunt? The solution was to sweat. By distributing eccrine glands across their entire skin and in great numbers or density and, then, by activating their secretions in response to thermal stimuli, they could run for long distances in pursuit of supper without quickly overheating. They could outlast their prey. Furthermore, by dispensing with their coats of fur, they not only got rid of an unwanted layer of insulation, but more importantly, their now smooth surface could facilitated the evaporation of sweat. …”mass extinction or not, it’s our tenuous reliance on an aging and inadequate infrastructure – perhaps, most ominously, on power grids – coupled with the limits of human physiology that may well bring down our world”. Matthew Huber, as quoted in Peter Brannen’s, The Ends Of The World. We are ‘hairless’ because we sweat. We sweat because we are human. Our sweat keeps us cool. If we overheat – as our planet warms – we will have our skin – and its limitations – to blame for it.